Southend were the oldest team in the division this season: their starting line-ups were almost 29 years old on average and a whopping 44.3% of their minutes were racked up by players aged 30 or over. This wasn’t the highest however, with Bradford giving 45.1% of theirs to players in their 30s – you can see how their graph is “pinched” in the middle, with very few players at peak age. 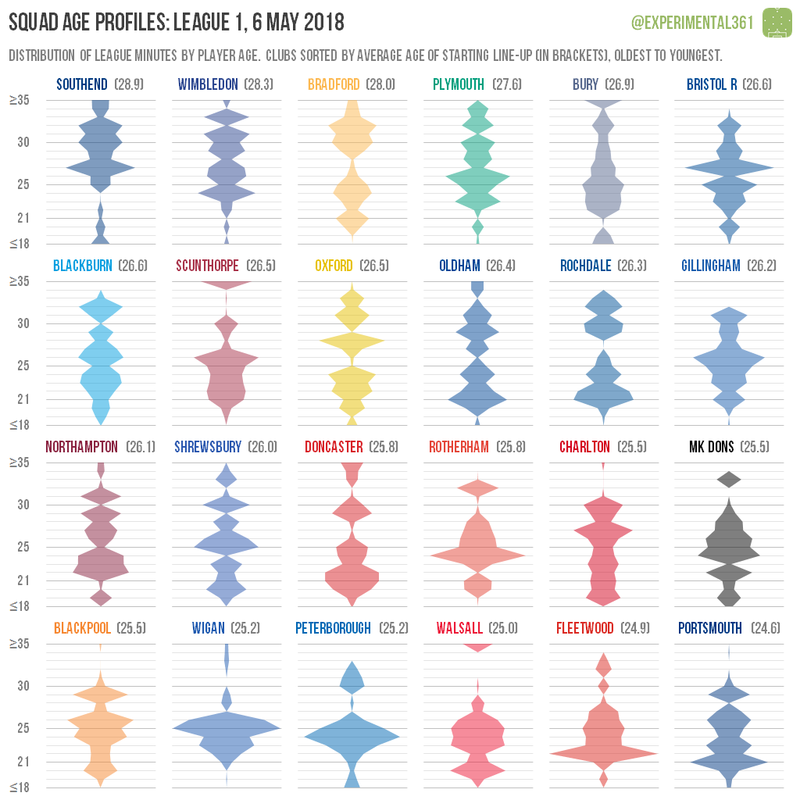 Blackpool, Portsmouth and Wigan meanwhile were notable for their rampant ageism reluctance to deploy players in their 30s, with each giving only around 4% of their minutes to those north of 29. Pompey had the youngest squad of all and over 30% of their minutes went to players aged 21 or under.